Former Spanish foreign minister has accused the Polisario leadership and the Algerian regime of undermining the UN efforts to reach a political settlement to the longstanding Western Sahara conflict. 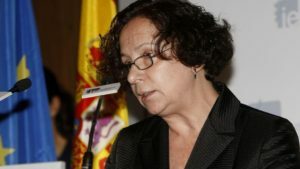 In an article published by the Spanish Dipublico portal, former Spanish Foreign Minister Ana Palacio argues that the Polisario’s resort to the courts of third countries for the seizure of ships loaded with goods from the Moroccan Sahara “saps the United Nations efforts in the settlement process of the territorial dispute over Western Sahara”. Actually, after it lost on many fronts, the Polisario, encouraged by the Algerian regime, now tries to harm Morocco’s economic interests through blows to its natural resources. The Polisario advocates have filed two complaints with the courts of Panama and South Africa, demanding the seizure of ships carrying phosphate from the Moroccan Sahara. According to Ana Palacio, the maneuver only seeks to torpedo the UN-sponsored settlement process of the Sahara issue. “A solution to the Western Sahara conflict is possible only if, and only if, the parties involved – especially Morocco and The Polisario, but also the neighboring countries and particularly Algeria – engage in earnest negotiations under the auspices of the UN,” stated the former head of Spanish diplomacy who is also a lecturer at Georgetown University. Touching on the claims made by the Polisario and Algeria about an alleged “plunder of Sahara resources” by Morocco, Ana Palacio explained that phosphates extracted in the Sahara account for only a meager 6% of overall OCP turnover and that the region phosphates represent only 1.6% of all Moroccan reserves, which represent 70% of global phosphates reserves. Ana Palacio stated further that during a visit to Laayoune, she realized to what extent Phosboucraa, the OCP subsidiary in the Sahara, benefits local populations and creates job-generating projects in the southern provinces. Ana Palacio’s comments sweep away all the allegations of the Polisario and its Algerian sponsors.